The life story of Lara Debbane, fashion model and actress and an Egyptian singer, born on November 28, 1994 in Cairo, Egypt. Biography Information of Lara Debbana. Biography Life Story of Lara Debbana. Date of Birth: November 28, 1994. Years of work: 2014 - until now. He was born Lara Debbane in 1994 in the city of Cairo, capital of Egypt. He studied Debbane in the Oasis International School. He speaks Arabic, French, English and Italian. And I worked a lot in the school theater. 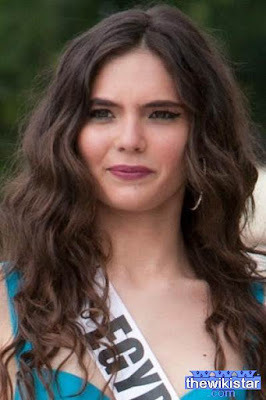 She won the title of Miss Egypt 2014 in Sharm El-Sheikh in Egypt, and is the first winner of the competition after a break following the revolution of January 25, 2011. It has won the crown 28 years after the coronation of her aunt Huda Abboud same crown in 1987 and represented Egypt in the Miss Universe pageant in 2014. Egypt also represented in the Miss world contest in China in 2015, but was forced to withdraw after being unable to enter China because of visa issues.